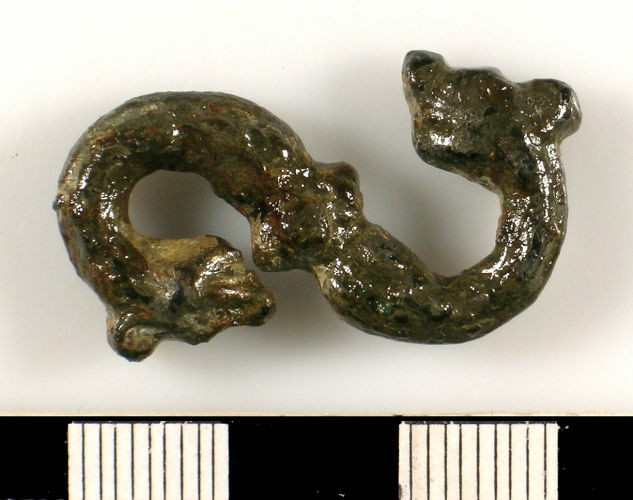 A cast copper alloy S-shaped clasp. The clasp is molded with a central, beaded band from which extends two two dragon-headed terminals, forming an S shape. The heads are molded with fine lines depicting the features of the head. The object is slightly worn, and has a dark greenish-brown patina. 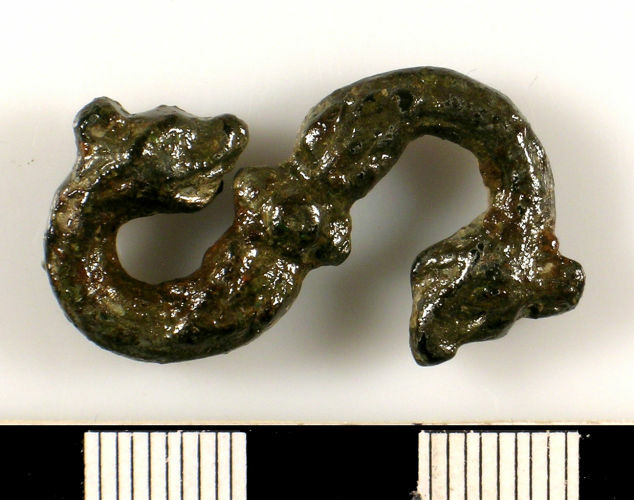 Parallels for this type of clasp exist from the post medieval period, although the style continues in use to the present day.